The AOA is a not-for-profit sport association. It is registered under the Alberta Societies Act. The Association was incorporated in Edmonton, Alberta on July 26, 1974. A board of directors, elected at the annual general meeting of the Association, controls association business. The functioning of the AOA office is under the direction of this Board. The Executive Director, who is an employee of the AOA, handles the day-to-day operations and supervision of the office. 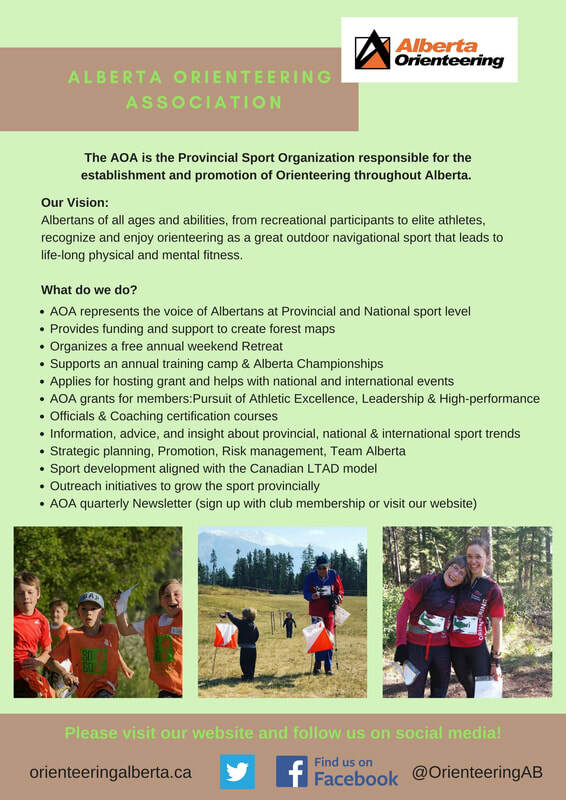 ​Email: info@orienteeringalberta.ca Please don't hesitate to contact us about any information. We are proud to promote the Canadain Sport for Life Physical Literacy and Long Term Athlete Development model. About LTAD Orienteering Canada Guide Visit the link provided.